EHCAP is working closely with the Department for Education and with the National Sensory Impairment Partnership keeping up to date with changes to the Statements for Educational Need and the development of Multiagency or Education, Health, Care (EHC) Plans. 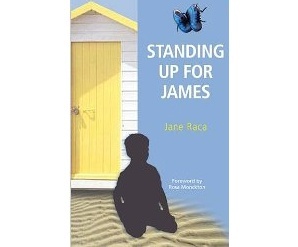 Read about Jane Raca's experience as James' Mum or visit her website and find out more about her work campaigning for the rights of disabled children. Shoba Manro Holly- co founder of EHCAP is an experienced social worker with expertise in child protection and safe guarding and is our named Safeguarding Lead. Shoba has recently completed the Signs of Safety 5 day residential training with Andrew Turnel and Viv Hogg. She is presently using the concepts as an Independent Reviewing Officer and Child Protection Chair. Next year Shoba will go to Australia to further develop her skills in using Signs of Safety. The Signs of Safety programme was originally devised in Western Australia and is now being rolled out in the UK. Interest in the Signs of Safety is growing exponentially in Europe, North America and Australasia, with full-scale implementations of the model currently underway in over 100 jurisdictions in 12 different countries including 20 implementations within the UK. The Signs of Safety method continues to create enormous energy and interest because it is focused on what actually works for front-line practitioners. The Signs of Safety Gatherings provide the opportunity for participants to hear the leading exponents of the approach describe what Signs of Safety looks like at its best. Join Shoba and Sarah at the next UK gathering in Apil 2014 where Professor Eileen Munro (who led the Munro Review into English Child Protection system) will draw the gathering to a close. Or follow Shoba on Twitter as she embarks on a year working with the Signs of Safety team in Western Australia. The child protection system in England is in crisis ... the current hierarchical system often results in blame being apportioned to individuals rthare than a systemic overview of systems. Professionals need empowerment with skills in order to provide relationship centered care in a very challenging job. Signs of Safety is a tool or output that can enable us all by providing these skills. Shoba and Sarah both believe that Signs of Safety is the way forward for child protection work and for improving outcomes for vulnerable children and young people in the UK. They are both struck by how it is a 'way of being' for a practitioner. In other words Signs Of Safety tackles the cultural shift necessary for us all to practice relationship centered care. There are many models that come and go - Signs of Safety is about showing respect and dignity to families going through very truamatic times and working in partnership with them. Shoba and Sarah have come across professionals crictising Signs of Safety as not working for the most entrenched families and veering towards idealism or being over optimistic. Yet with the work Shoba has done families have apprciated being told the bottom line despite it often being very painful. They have appreciated knowing what needs to change. Relationship and scaling questions are very powerful in enabling famlies' understanding of their situations. Both Sarah and Shoba are involved with the collaborative NICE and social care guidance for Looked After Children. In addition Sarah is training in using restorative justice as a process enabling a solution focus when staff and families become locked in dispute. In 1996, the Center for the Study and Prevention of Violence (CSPV), at the Institute of Behavioral Science, University of Colorado Boulder, designed and launched a national youth prevention initiative to identify and replicate violence, delinquency and drug prevention programs that have been demonstrated as effective. The project, initially called Blueprints for Violence Prevention, identifies prevention and intervention programs that meet a strict scientific standard of program effectiveness. The identification of Blueprints model and promising programs is based upon an initial review by CSPV of a program's evaluation evidence and a final review and recommendation from a distinguished Advisory Board, comprised of six experts in the field of positive youth development. Today, Blueprints is funded by the Annie E. Casey Foundation. With this funding, outcomes have been expanded to include not only problem behavior, but also education, emotional well-being, physical health, and positive relationships. Blueprints has also been rebranded as Blueprints for Healthy Youth Development. More than 1,100 programs have been reviewed, but only a small portion of them have been designated as model or promising programs based on their ability to effectively improve developmental outcomes in the areas of behavior, education, emotional well-being, health and positive relationships. Blueprints continues to look for programs which meet the selection criteria. Our mission is to improve the lives of vulnerable people by changing the practice of those who work with them. We do this by sharing transformative knowledge, encouraging deep reflective practice, and empowering individuals and organisations to make a difference. We understand that all human beings are both vulnerable and resilient. We work to promote resilience in the individuals and networks supporting the most vulnerable people in our society, so that they in turn can promote the resilience of those with whom they work. We believe that the key relationships that enable change and promote resilience are those that are encountered on an everyday basis with knowledgeable and empowered individuals. We believe that every human being is unique, irreplaceable and infinitely valuable. STORM® began as a research project at the University of Manchester in the mid-1990s in response to the need for skills-based self-harm risk assessment and management training. The content of the programme is delivered through a skills based model of training underpinned by Adult Learning Theory. In 2003 'The STORM Project', a research group and not for profit venture within the University, was created to disseminate the training to service providers. Over the last decade STORM has been disseminated widely to healthcare, social care, education and criminal justice services. There are currently over 500 trained Facilitators, delivering training in organizations and partnerships across the UK, Republic of Ireland, and Malta. EHCAP is responding to the Children’s Commissioner’s Report 2012 by developing a special interest in the well being of children, young people and mothers who are in contact with the criminal justice system. There is a high prevalence of disability including neurodevelopmental disorders such as ADHD and unmet emotional wellbeing and mental health needs for young people being held securely. Approximately 60% of children in the youth justice system have significant speech language and communication needs. Around 50% have a learning difficulty. With reference to the Angiolini Report commissioned by the Scottish Government. There is plenty of evidence that coutcomes for children and young people improve with parent and family support. NICE guidelines jointly produced by the NHS and Social Care recommend that parents of children with a conduct disorder should be offered a parenting programe. CAMHS and Schools: early action project in Australia have joined with Tuning in to Kids in providing emotion coaching for parents as an early intervention for young children considered at risk of developing a conduct disorder. More children and young people benefit from opportunities and support to fulfil their potential, avoiding pathways into offending. Replicate the most effective approaches.